Who doesn’t love a three-day weekend? It’s a chance to relax, hit the snooze button a few extra times, spend some time with the kids... Wait, what are you going to do with the kids? Avoid the rush and put the holiday back in holiday weekends this year, and have some fun -- New York-style. You’ve heard of a staycation, but have you heard of a playcation? 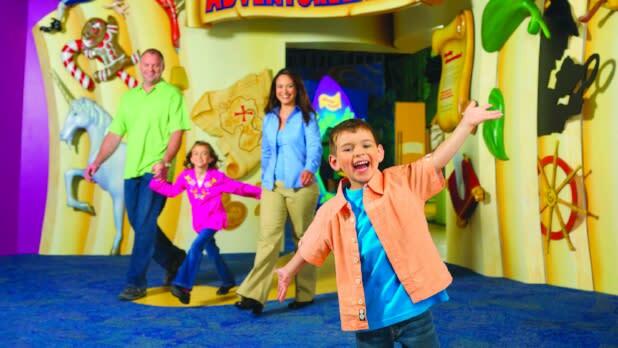 Home to the Strong National Museum of Play and National Toy Hall of Fame and a plethora of family friendly attractions, Rochester is quickly becoming the capital of fun for kids of all ages. Not only will kids love the interactive exhibits, like the world’s largest pop-up book, but parents will be in nostalgia overload with toys from every decade on display. The Strong is also home to the World Video Game Hall of Fame, most of which can be played -- so plan on staying awhile. The George Eastman Museum (of Eastman-Kodak fame) is only $5 for kids 5-17 and free for those under. The museum’s Discovery Room lets young shutterbugs make their own hands-on projects and learn about photography through interactive exhibits. Seneca Park Zoo is open year-round. Lions, tigers and (polar) bears, oh my! The Garbage Plate is a local delicacy here and you can find it pretty much anywhere in town. Nothing says fun like piling all your favorite feel-good foods on one plate. Memorial Day means summer is almost here, and Lake George is one of New York’s classic warm-weather escapes. Whether you’re looking to rough it or spend the weekend in the lap of luxury, this family-friendly upstate haven has you covered. The Great Escape and Splashwater Kingdom has been an Upstate institution since 1954 when it was a humble fairy-tale themed kiddie park called Story Town. 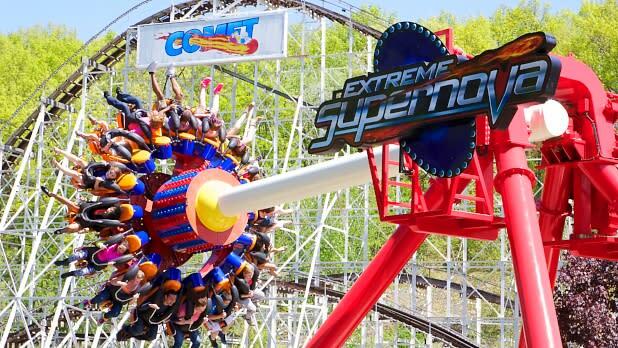 Today this sprawling amusement park still has plenty for little ones, plus thrill rides for adults and older kids, and a water park the whole family will love -- and it opens for the season on Memorial Day Weekend. Lake George and surrounding Warren County are home to several factory outlet centers. Just a few minutes from the Great Escape you’ll find the French Mountain Commons and Log Jam outlets, offering bargains from the likes of J. Crew, Banana Republic, Gymboree and more. After you shop up an appetite, head over to the Log Jam restaurant for creative American fare served in an authentic log cabin. Of course, a trip to Lake George isn’t complete without getting on the lake itself, and there’s no better way to do that than with the Lake George Steamboat Company. Choose from a variety of day or night cruises on their historic vessels. No matter what you choose, you’ll experience unforgettable views of the gorgeous Adirondack shoreline. This town is full of rustic cottages and family friendly campsites that can be your home base for the weekend. But be sure to plan ahead: Summer weekends (including this unofficial summer weekend) book up fast. 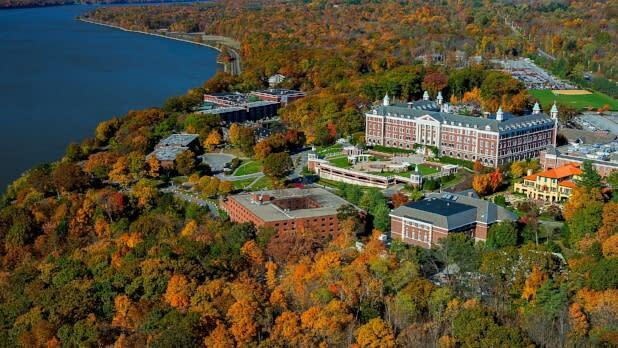 If you’re looking for a more high-end experience, the Sagamore has you covered -- completely. The lakeside resort offers a spa, several restaurants and bars, a golf course, activities geared for kids and so much more. We know the 4th of July falls mid-week this year, but what better excuse to take a few extra days off? Niagara Falls is high on many a bucket list (including ours), and there’s no better time to see it than when the weather is warm and a mist from the falls is sure to be appreciated. There’s something magical about experiencing 4th of July fireworks with Niagara Falls in the background. Sure you can take an iconic blue poncho tour of the Falls on the Maid of the Mist, but did you know that you can also see the Falls by helicopter, take a high speed jet boat tour or descend 175 feet into the Niagara Gorge on the Cave of the Winds Tour? The Niagara area has plenty to do beyond the Falls. Step back in time at the Old Fort Niagara historic site or visit nearby Buffalo, which offers a bustling restaurant scene, the family-friendly Canalside development, and so much more. Nearby Lockport is the epitome of a charming canal town. Take a leisurely cruise on the Erie Canal and watch as millions of gallons of water pump through a working set of locks lifting your boat 50 feet. 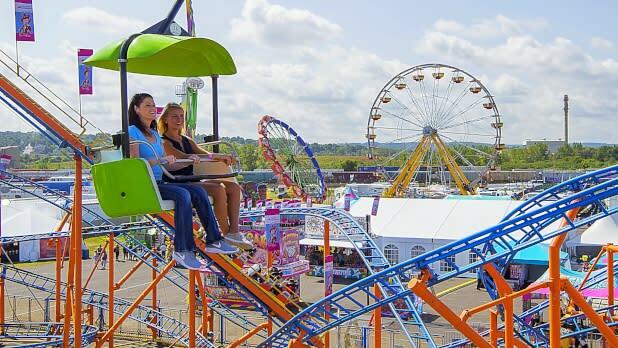 Catch the tail end of the annual extravaganza known as the Great New York State Fair. The oldest State Fair in America is a Syracuse tradition that brings together all of your favorite farm animals, fair rides, A-list musical acts, and deep-fried Oreos. Labor Day is Dollar Day at the State Fair. Admission costs just $1 and Midway rides are a buck a piece too. There are two concerts a day and all of them are free to fairgoers. Past headliners have included Fifth Harmony, Kesha, the Spin Doctors, Migos, The Beach Boys, and DNCE. Piglet races! It’s like six degrees of Kevin Bacon goes to the races. Before you know it, you’ll find yourself rooting on quick-hooved piggies like Kim Pork-dashian and Justin Bie-Boar. There’s a lot to do in addition to going to the Fair when you’re in Syracuse. Visit the MOST (Museum of Science and Technology), shop till you drop at Destiny USA, and dig into some finger licking good BBQ at the original Dinosaur Bar-B-Que. Upstate New York is ablaze with color in October, and the state&apos;s capital, Albany, is alive with activity. Explore this picturesque city during a brisk three-day weekend this fall. 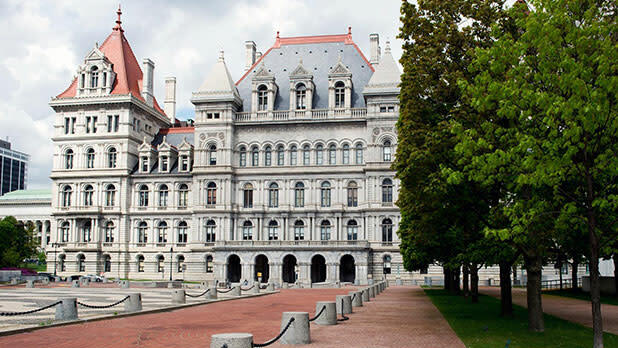 The majestic Capitol building has been the home of New York State government since the 1880s. Today you can learn about this hallowed space on a free guided tour, or just contemplate the history of the site on a self-guided stroll. Be sure to snap a few pics in front of the iconic Egg at Empire State Plaza nearby. Check out the area&apos;s fascinating museums, including the interactive Children&apos;s Museum of Science and Technology in neighboring Troy, and the expansive (and free!) New York State Museum. While you&apos;re in town... get out of town! Albany is surrounded by scenic countryside perfect for autumn driving. The Mohawk Towpath National Scenic Byway should be especially spectacular right around this time. Be sure to bookmark our New York Fall Foliage Report for the latest color updates starting in the fall. Columbus Day Weekend also happens to be New York State&apos;s fall Path Through History Weekend. Check our Path Through History Weekend website for the latest events in Albany and around the state as they&apos;re announced. NYC’s bucolic neighbor to the North offers visitors a more relaxed pace among rolling hills, bountiful farms, and charming small towns. Fall is harvest season here and a great time to experience all the area has to offer. Unique places to stay abound - from cozy country inns and B&B’s to a real-life Victorian Castle resort, there’s truly something for everyone. 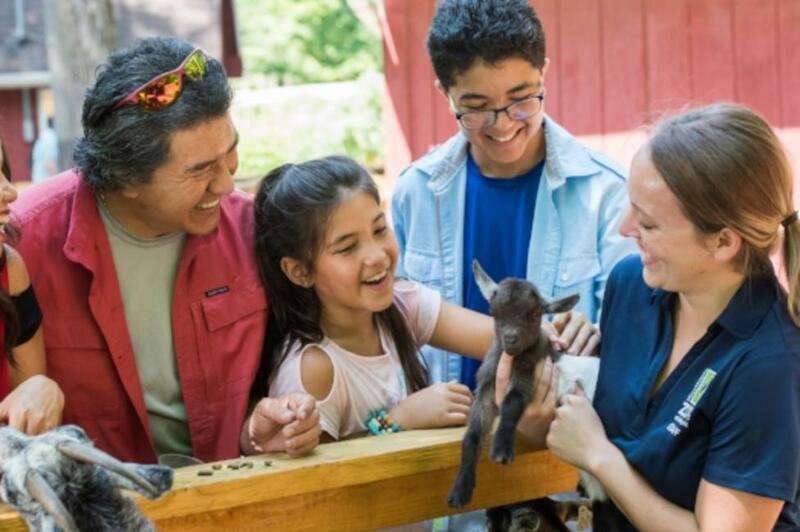 This isn’t your average petting zoo -- you can tour an alpaca farm, go horseback riding, or pick your own apples at one of the area’s hundreds of farms open to visitors. Halloween isn’t a one-day affair. The town of Sleepy Hollow is the stuff of legends and the Great Jack O&apos;Lantern Blaze offers visitors a breathtaking display of structures built entirely out of illuminated pumpkins-- like the 20-foot diameter Pumpkin Carousel and a jack o’lantern Statue of Liberty. Serious foodies will be right at home at the legendary Culinary Institute of America and Stone Barns Center for Food & Agriculture, both of which offer hands-on learning, cooking, and of course -- eating! Hudson Valley Fall Restaurant Week happens around this time, letting you sample the best of the region’s restaurants at a fraction of the usual cost.